From open type cabs where the operator would stand up and use a radio remote control all the way up to fully enclosed traveling cabs with ergonomically designed chairs and control consoles, joystick controls, heaters and air conditioners. Contact your local CRS representative for more information on our operators cabs. 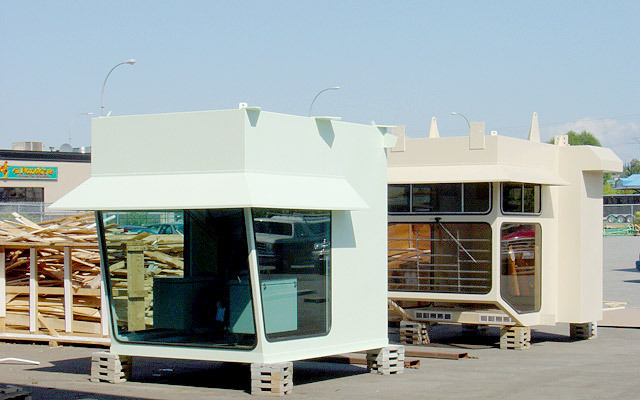 Two fully enclosed heated/air conditioned operator cabs ready for shipment. 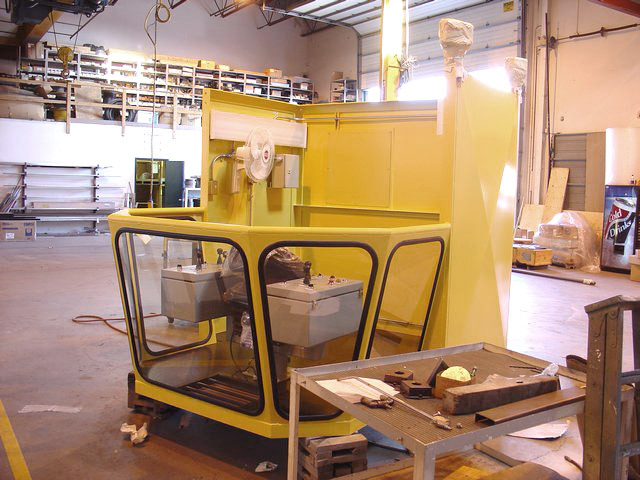 Open type operators cab for indoor bridge crane operation. 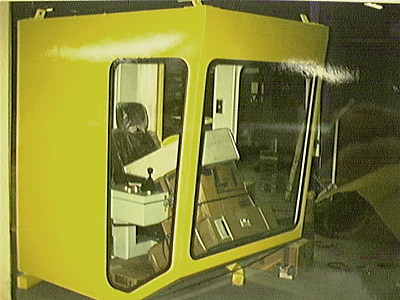 This cab is complete with protective glass, and ergonomic operators chair and joystick style control console. 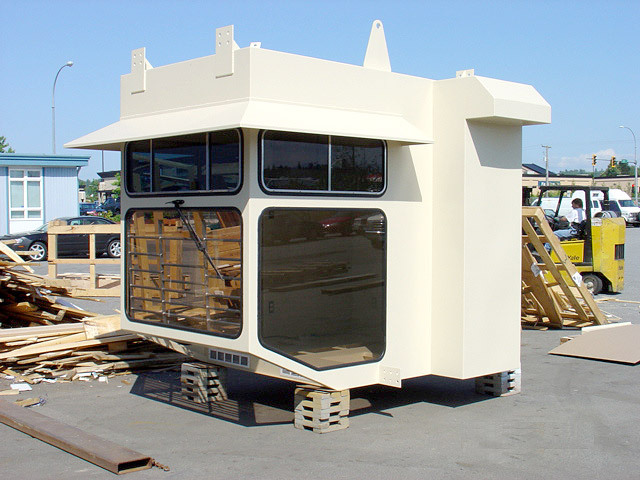 Fully enclosed heated/air conditioned operator cabs ready for shipment. Fully enclosed heated/air conditioned operator cab complete with ergonomic operators chair and joystick style control console.